After the ECT ruled that the overseas ballots from New Zealand would not be counted because they were not delivered to their respective constituencies within the specified timeframe, the Thai community in New Zealand expressed their frustration and disappointment at being unable to participate in the election due to the ECT’s mismanagement. 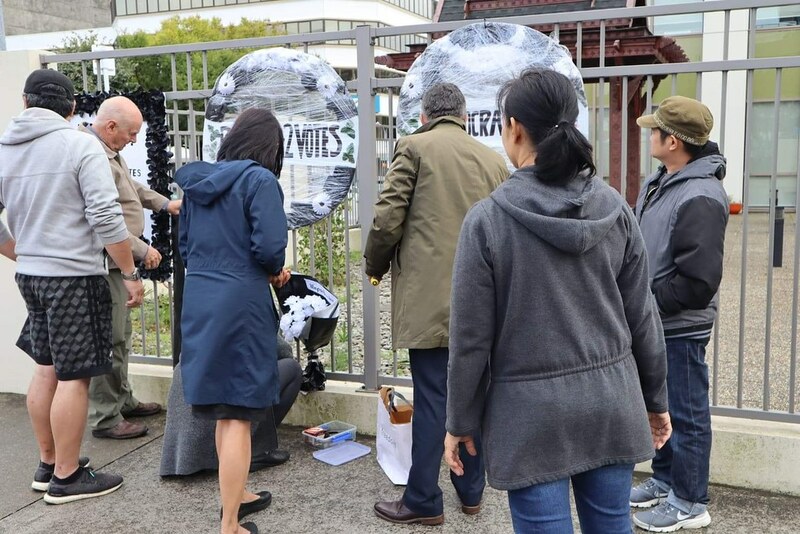 On Monday, members of the Thai community in Wellington travelled to the Thai Embassy to place black funeral wreaths and banners at the Embassy’s gates. The wreaths say “RIP 1542 votes” and “Democracy?”. 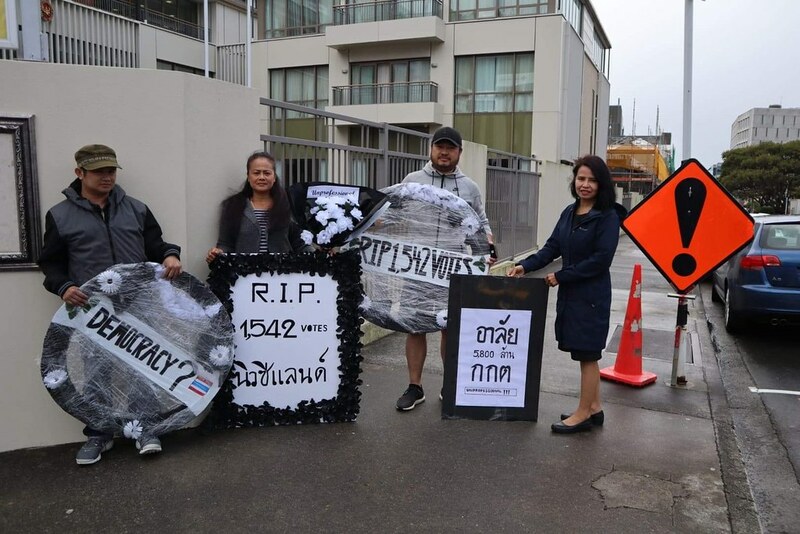 The group also placed placards edged in black saying “RIP 1542 votes” in Thai and English, and a bouquet with a sign saying “unprofessional”. The Thai community in Auckland also made a video clip calling for justice. The group said that they would like to know why the ballots did not arrive in Bangkok on time, since they voted on 10 March – two weeks before the election day on 24 March. Thanawi Tungthong, a Thai student in New Zealand, also recorded a video clip saying that this is the first time that she voted in an election. She said that she thinks that the ECT made an easy decision and an unfair one which does not benefit the country in any way. “Is this right? Is it fair that Thai citizens, especially these 1542 voters, have to live with the consequences, have to face trouble, have to lose our rights as people and as Thai citizens because of a mistake that is not our fault but from a mistake in the authorities’ procedures?” Thanawi asked in her video clip. Charn Tiebtienrat, who lives in Whangarei, said that he helped the town’s Thai community register to vote, and he felt that it was irresponsible for the Thai authorities not to pick up the ballots in time, rendering them invalid. The ECT still has not offered a proper explanation regarding the New Zealand ballots, but election commissioner Pakorn Mahannop said on Tuesday (2 April) that the ECT is currently investigating the issue. He claimed that vote counting concluded within 2 or 3 hours after the poll closed, and the ballots from New Zealand did not arrive in time. However, the Embassy issued a press release on 25 March saying that the ballots left Wellington by air cargo on 18 March and should have arrived in Thailand on 19 March. Sumet Damrongchaitham, President of Thai Airways International, also said that the ballots were shipped from Wellington to Auckland by Air New Zealand flight NZ448 on 18 March, and that they were kept in Air New Zealand storage from 18 – 22 March. The ballots were then shipped from Auckland to Bangkok and arrived at 20.50 on 23 March. 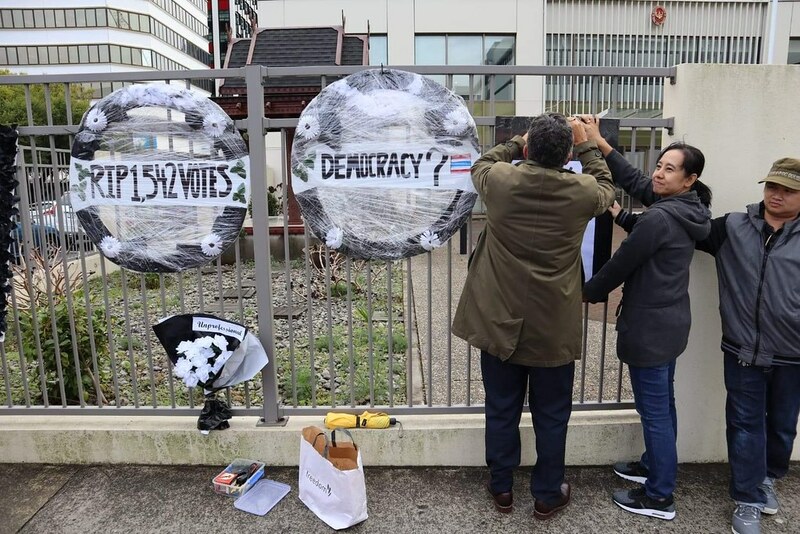 Sumet said that Thai Airways warehouse staff contacted the Ministry of Foreign Affairs at 17.00 on 23 March that the ballots from New Zealand would arrive that night, but they were not picked up until 19.30 on 24 March.